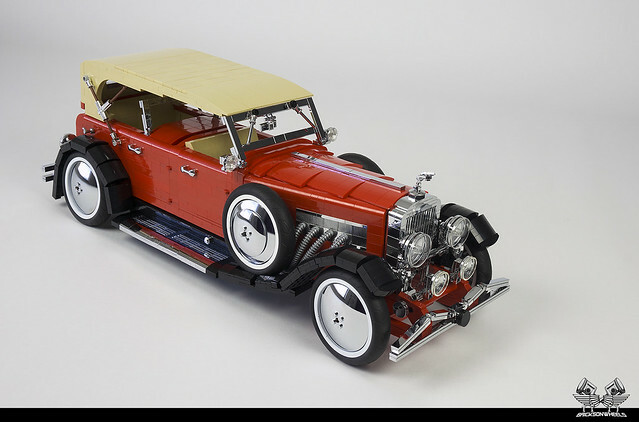 Builder Bricksonwheels has created a 1:8:5 scale replica of a little known luxury car the 1935 Duesenberg SJ Dual Cowl Phaeton. 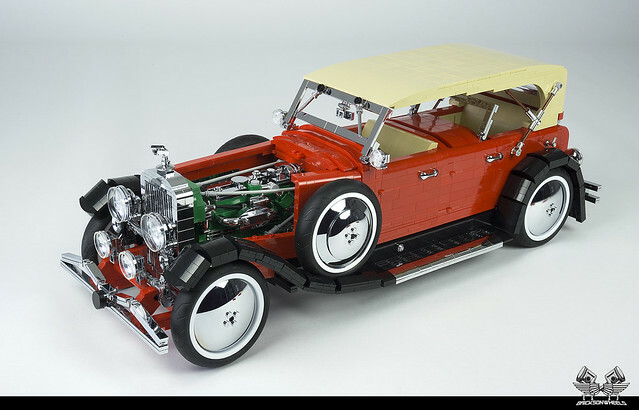 I must admit I was not familiar with the car but a quick google images search reinforced my first instincts, this is one of the best LEGO scale models I've ever seen. The tasteful use of chromed pieces really finish off this piece of art. The details on the build really catch the eye. the delicate windscreen wipers, rear view mirror and hood mounted mascot are delightfully ornate, not to mention the clever parts usage of the chromed telephone receivers as door handles. Let's take a look beneath the stylish curves of the hood, the builder has paid meticulous attention to recreating the supercharged 419cu (6.8 liter) eight in line engine. This car was capable of a top speed of 205 km/h - quite a feat in 1935! If all the above wasn't enough the doors also open, there is a detailed interior and the soft top roof comes down! Head over and take a look you won't regret it!